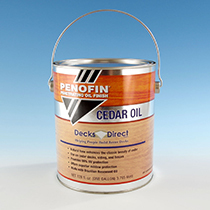 DecksDirect is proud to be the exclusive retailer of Cedar Oil from Penofin. 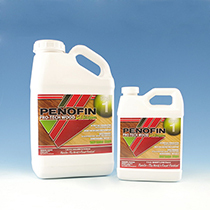 This ultra premium penetrating oil was specially formulated to bring out the rich tones of cedar decking while protecting from UV rays and inhibiting mold and mildew growth. Because Cedar Oil was actually developed to withstand Hawaii's tropical combination of intense sun, heavy humidity and frequent rain, this formula is sure to excel in the relatively moderate conditions of the contiguous United States. 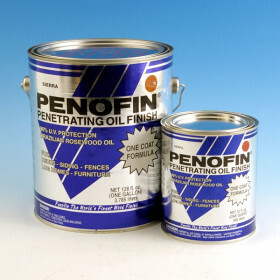 This one-coat formula contains Brazilian Rosewood Oil that coats wood fibers to enhance the color and protect from the elements. Great for warm or cold climates, the stain boasts over 99% UV protection to keep your deck or fence looking beautiful and new. 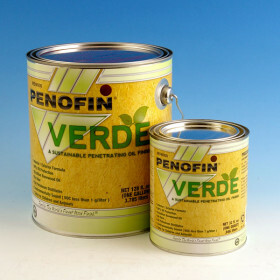 Note: Because of VOC Laws, this product cannot be shipped to the following California counties: LA, Riverside, San Bernardino, and Orange County. For a zero VOC product, please view Penofin Verde. 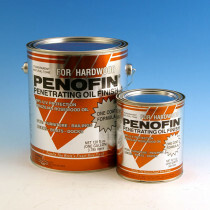 Learn More Take a look at our Cedar Oil Guide to learn more!